The Single license comes with a USB dongle. You can install WellCAD on as many computers as you like, and one user at a time with the USB dongle can use the license. Annual maintenance (18% of license cost) includes upgrades, updates, fixes, support and replacement of lost dongles. Maintenance is optional. 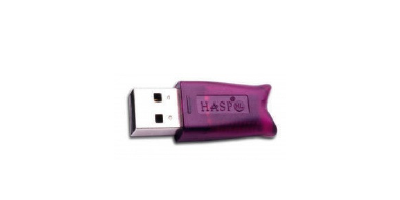 The Network license comes with a USB dongle that is installed on a shared computer or server. Price is 1.25x the Single license price. The Regional Floating license is administered through a Flexnet license server running on a shared computer as a service. A license can be checked out from the server to use in the field away from a connection to the server. The license can be used anywhere within a “region”, such as North America. Price is 1.5x the Single license price. Annual maintenance (18% of license cost) includes upgrades, updates, fixes, support and replacement of lost dongles. Maintenance is required, and the license ceases functioning after maintenance expires. The Global Floating license is administered through a Flexnet license server running on a shared computer as a service. A license can be checked out from the server to use in the field away from a connection to the server. The license can be used anywhere globally. Price is 2.0x the Single license price. This entry was posted on July 25, 2017 by Tom Bresnahan.